A place to share projects from my sewing room. Pat Sloan Visited My Sewing Room! 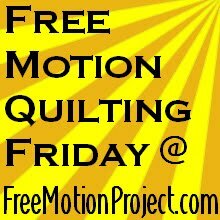 You are welcome to sign up and sew along with us tonight. Click the button to go to Heidi’s blog for the sign up page and for more information about FNSI. I have a few things in mind for sewing tonight. I will post tomorrow what I actually worked on. I really hope I can get things organized enough to participate in tomorrow night’s FNSI. This is what my sewing room looks like tonight. I plan to get up early tomorrow and work on unpacking more boxes and getting the new sewing room ready to play. Getting Started on My New Sewing Room! My name is June, I am a Dental Hygienist and Mom to 2 grown sons, a dog and 2 cats. I recently married my best friend and life is good. I love any and all kinds of crafts. I dabble in several hobbies and consider myself an expert in none ~ I just enjoy them. I hope to make this blog a diary of my projects as I complete them. I get a lot of inspiration reading blogs of those who are more crafty & artistic than I am and I hope others will find at least a little bit of inspiration here. Please see my About Me page to see why I appear to be a No Reply blogger when I comment on your blog posts. FYI: If you sign up for any Craftsy classes, purchased or free, using the links on this blog, I may receive a portion of the proceeds. Of course, I will most likely use these proceeds to purchase additional Craftsy classes, so thank your for supporting my crafty education. Volunteer quilters transforming fabrics into patchwork quilts that comfort children in need.